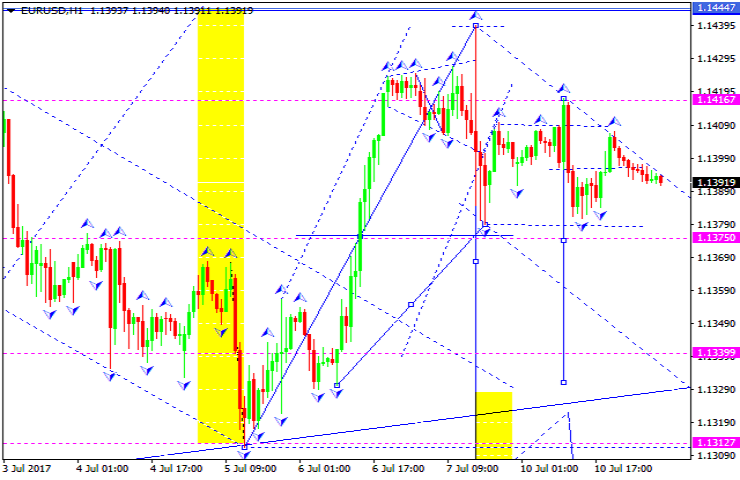 Being under pressure, the EUR/USD pair is still falling and forming the third wave with the target at 1.1295. 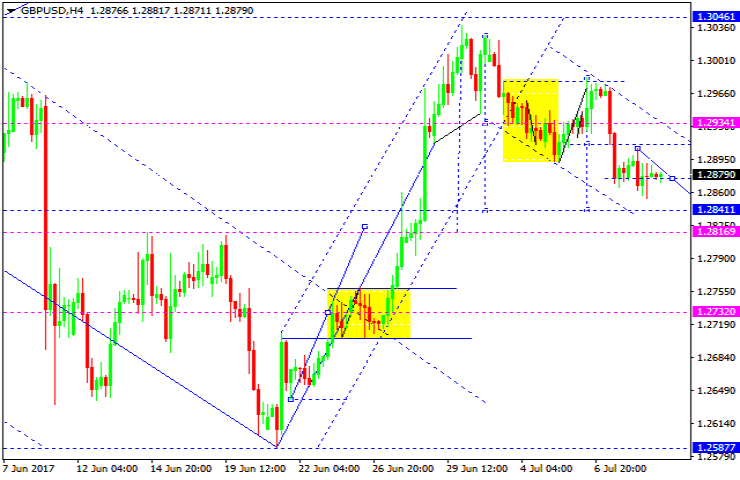 We think, today the price may reach 1.1374, break it, and then continue falling towards 1.1340. After that, the instrument may return to 1.1374 and then move downwards to reach 1.1313. Possibly, the market may try to start another correction to reach the downside border of the Triangle pattern and reach 1.1374 once again. The USD/CHF pair is still growing. 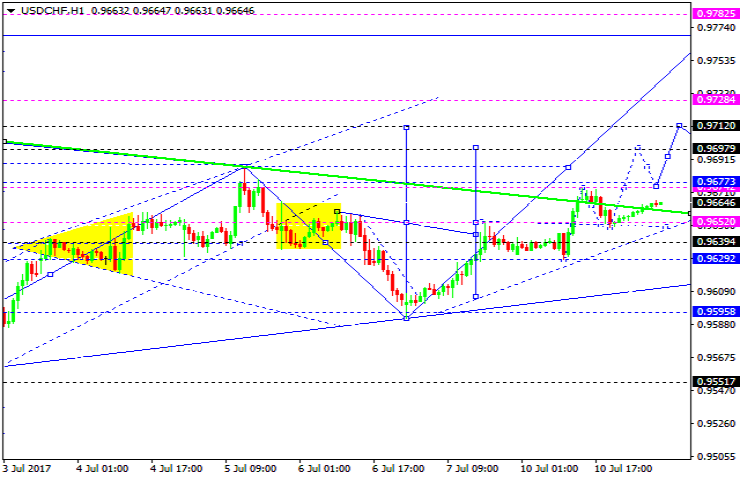 Possibly, the price may form the third ascending structure to reach 0.9670. After that, the instrument may consolidate to break the above-mentioned level upwards. The pair is expected to grow and reach 0.9782. Being under pressure, the USD/JPY pair is still growing. 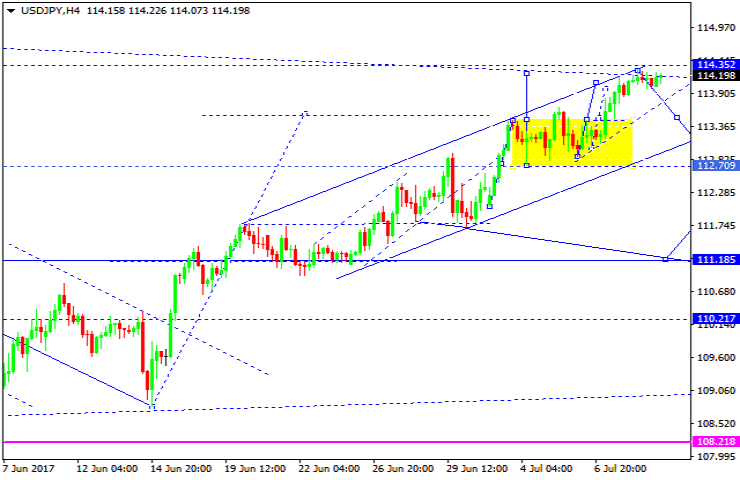 We think, today the price may extend the current structure towards 114.68 (alternative scenario). According to the main scenario, the instrument is expected to fall with the target is 112.70. 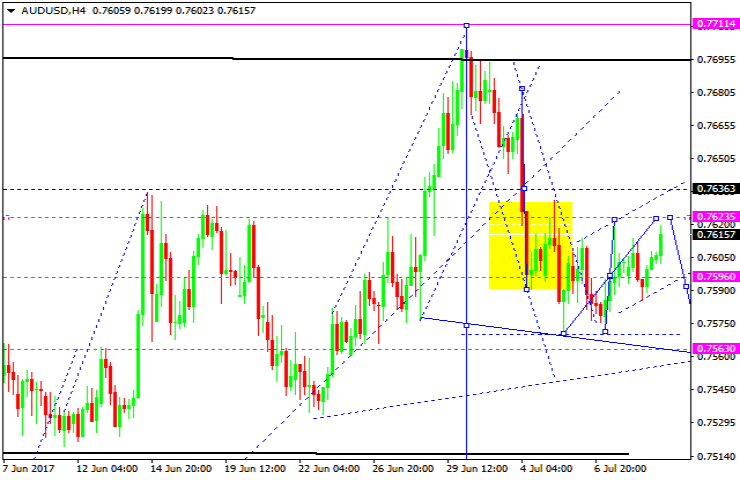 The AUD/USD pair is attempting to form another correction to reach 0.7623. After that, the instrument may fall with the target at 0.7563 and then be corrected towards 0.7636. 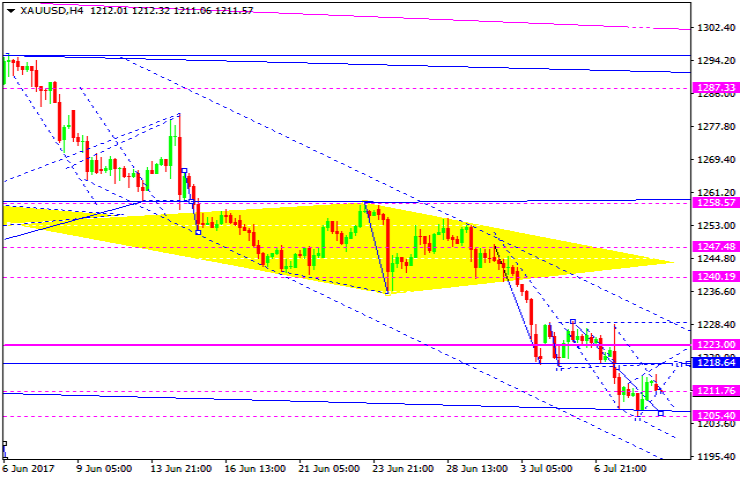 Gold is forming another consolidation channel around 1211.76. If later the instrument breaks this channel to the upside, the market may start another ascending wave to reach 1228.00; if to the downside – continue falling with the target at 1190.00. 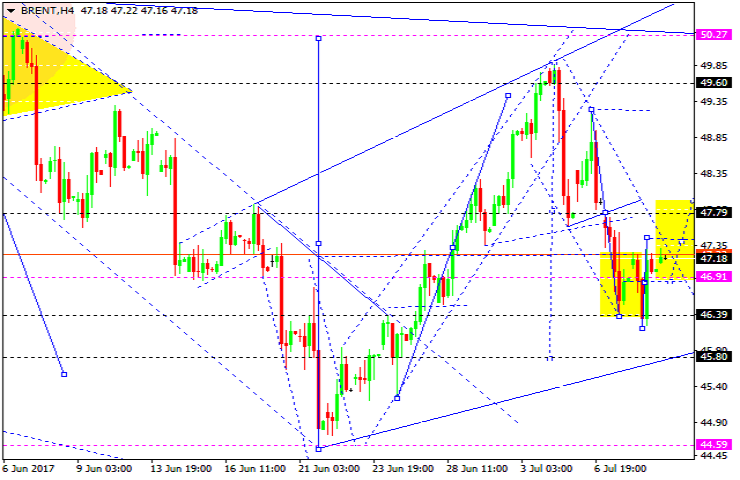 Brent is consolidating around 46.91. 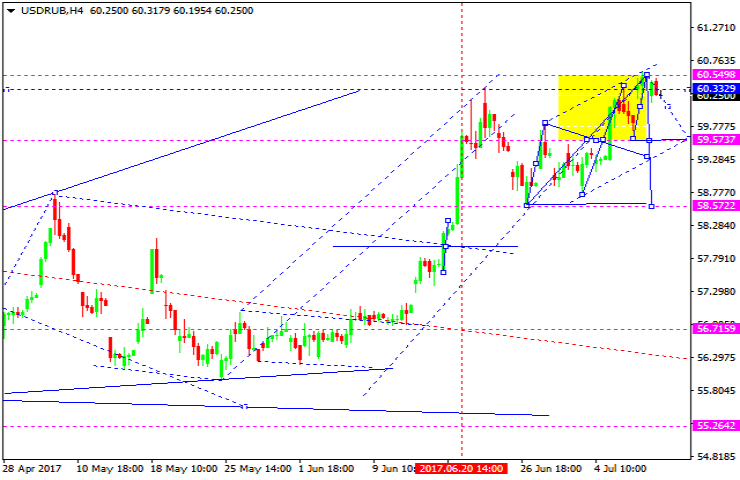 If later the instrument breaks this consolidation range to the upside, the market may grow to reach 49.60; if to the downside – continue falling with the target at 45.80.